Modern movie houses have nothing on the spectacular historic theatres in Florida. Walking into a theater that housed hundreds of films and performances over a century ago is nothing short of a step through time, especially the ones where the community proactively preserved the building and its interior. Given Florida’s rich and lengthy history, it’s no wonder that some of the most iconic theaters of decades ago still stand in all their glory today. 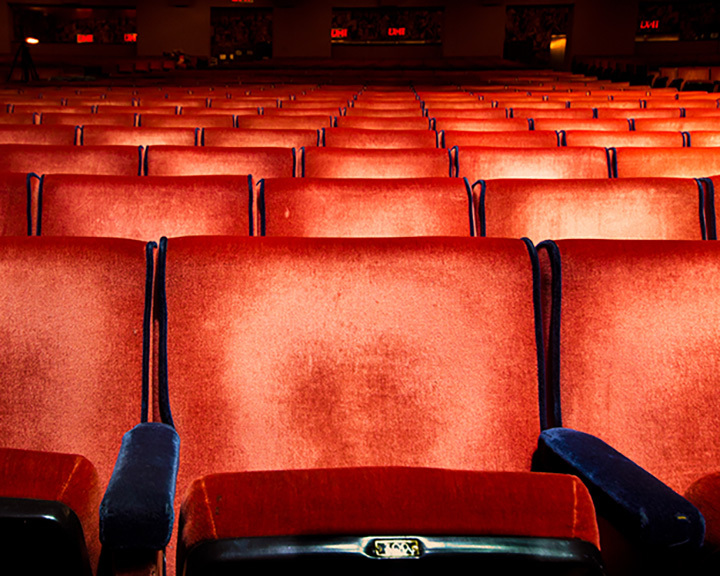 Take a trip down memory lane at these 10 best historic theaters in Florida. This former 1920s movie palace and vaudeville roadstop is still one of the most cutting edge theaters in Florida. Modeled after the stylings of the Italian renaissance, this building was a magical wonder inside and out. Famous faces were known to frequent the stage, including Tom Mix, Elvis Presley, and Gene Autry. The theater underwent a major renovation in 1999 and continues to delight guests with its famed architectural style and quality performing arts. This historic theater opened its doors in 1927 and remains one of the top historic theaters in the country. At the time of its opening, this theater was the largest in Florida. Today, you can still catch a dance or musical performance in its auditorium—check their website for upcoming shows. Even the name brings back a deluge of memories from the period of its inception. With roots dating all the way back to the 15th century, this classic beauty is known for its ornate decor. Throughout time, the theater has undergone multiple extensive renovations and is admired by fans today. The majestic marquee is the main giveaway that this place is truly something special. The Tampa Theater was built in 1926 as one of the most grandiose movie houses in the country. The inside of theater is reminiscent of a Mediterranean garden complete with statues and flora. During its premiere days, a movie cost just 25 cents. Today, the movie house still features a magnificent Wurlitzer organ and offers movies and shows throughout the year. Not much has changed in this theater since Moorish architecture and twinkling ceiling that other visitors have admired for decades. Parts of the theater have been restored, and ongoing efforts continue to retain its splendor. Repertory theater is still alive and thriving at historic Arcade theater in Fort Myers. With its own repertory company making regular appearances, they’re keeping alive one of the most popular forms of theater of the past century. The Arcade has been fully restored but retains much of its historical significance. A lot has changed in 70 years, but Marion Theater has kept up with the times without sacrificing its original elegance. This time-tested theater still boasts its rounded Art Deco marquee and entry doors while showing modern movies that cost quite a bit more than they did in the 1940s. This theater also serves beer and wine to complete your experience. The Seminole Theater name has existed since 1919, but the theater itself is much older than that. Having first started as the Airdome Theater in Miami, the theater was dismantled in 1916 and moved to Homestead, where it was reconstructed and received a new name - the Homestead Movie Garden. The theater changed its name to Seminole Theater, and eventually was relocated to a new theater building in 1921. It burned to the ground in 1940, but was rebuilt on the spot and still delights guests with performances to this day. As the only art house cinema in the city, Cinematique is truly one of its kind. This single-screen theater delivers an epic viewing experience complete with couches, padded chairs, and director seats. Featuring the best in independent and foreign films, every experience here is unique and memorable. Having opened in 1949, the Peabody Auditorium doesn’t have as much history as the other theaters on this list, but what it lacks in tenure it more than makes up for in features and ambiance. This venue has hosted an A-list of performers, including Elvis, Red Skelton, Liza Minelli, and even modern acts like Jerry Seinfeld and David Copperfield. The impressive 2,500+ seat space continues to be an important part of the performing arts community in the city, offering performances throughout the year.